The new series is about a group a friends who are forced to grow up faster than they should in order to survive. They have to stick together and never lose hope in each other. In the show, it really stresses the fact that you will always need someone to depend on and always be ready for people to depend on you. This series really speaks volume to the teenage group, mainly kids going into high school who are facing different situations. With it being a new series, its ability to show how people are able to come from all different backgrounds and still be able to rely on each other is, in fact, impeccable. The writer did an incredible job of expressing different cultural and universal problems but also making the viewers stay interested. Many times throughout the show they show scenes that express how sometimes you are able to depend on the ones you need the most and also how other times you feel like you have no one but yourself. That this was a very realistic way of portraying the life of teenagers. The fact that the writer was also able to show how the children went through certain rough spots in their lives showed how they were able to try and work things out on their own. There is a lot of independence being portrayed; there are rarely any times where the parents of the four main characters are needed to solve a problem. In this show, there are some wow factors; they are unbelievable moments but they still help to tie into the whole theme of values and morals. Friendship can be depicted in many ways but various times in the show we are of shown the “tough love” aspect of life. With the main characters playing such young roles and the things they are experiencing in real life on a daily basis seeming a bit unrealistic, the fact that they are able to make it through challenges and help each other out even when they are angry inspires me to be a better person and a better friend. This show literally had me on the edge of my seat for 90 percent of the time. Have you ever felt like you needed to be there for a friend more than you actually could, because you did not know what the problem actually was? Well, same. 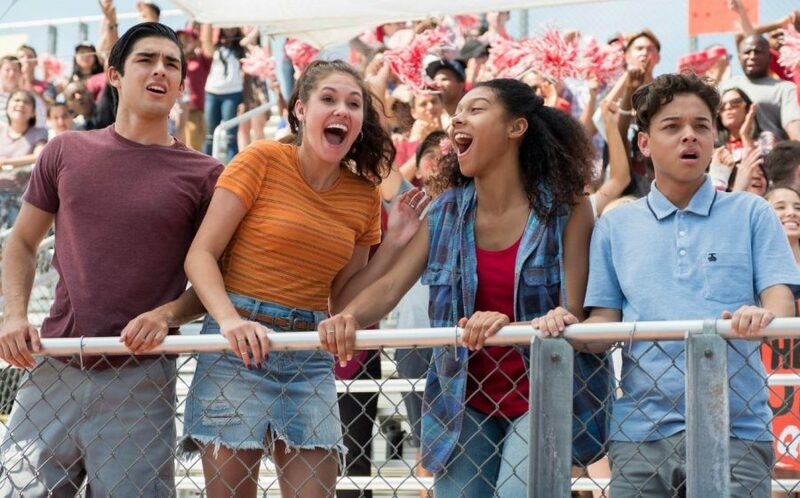 “On My Block” was a very good look at the adult view of our lives. The struggles that this group of friends went through and the problems that they had were creative, and it amazed me to see how the writer could still tie this into something so interesting. Since the show hit the small screen, the reviews and social media sites have been going crazy. The show is the talk of the town. I highly recommend the series for everyone who is old enough to understand all of its meaning and the purpose behind it.